Many recruiters are turning to social media platforms when seeking applicants, but that doesn’t mean the resume is dead. Whether employers find you on LinkedIn or meet with you face-to-face at job fairs, they are still going to ask for a resume that details relevant, professional experience. The challenge, then, is how to stand out when your resume joins the towering pile of other strong candidate resumes. Before you decide to fill out your resume with elaborate colors and graphics, it’s important to consider how receptive your industry is to creative resumes, as well as the right and wrong approach to standing out from the crowd. Some industries, like advertising and graphic design, will automatically expect unconventional resume formats. For others, recruiters will rely more on how well you construct your bullet points versus creative bells and whistles. To find out which resume format is best, research the company website and get a sense of your audience. If the company’s mission, values, or goals represent more traditional ideals, then your resume should follow suit. On the other hand, if the company presents itself a little more creatively – perhaps through humorous “meet the staff” photos or an inventively structured website – this should clue you in on the company culture, and may indicate that an out-of-the-box approach to your resume would be appreciated. Beyond the website, connecting to professionals who work at the company through DePaul’s Alumni Sharing Knowledge program or LinkedIn is a great way to gain insider insight about an organization’s culture, and learn more definitively whether or not a creative resume will carry weight. Students who are technically savvy may be comfortable creating a completely unique design for their resume, but that doesn’t mean non-designers are out of luck. In many cases, taking subtle creative liberties can help a more traditional resume stand out from the crowd. If your resume is in black and white, you can try using a different font color to emphasize key words like your name and category headings. Maybe you want to keep your categories the same, but present them in a different format, such as columns, or highlight key skill sets using a visual chart. Another option is to create a minimalist logo that represents your brand and can be used across your other application materials like a cover letter or business card. These are minor, simple ways you can add a little flavor to more traditional resumes. 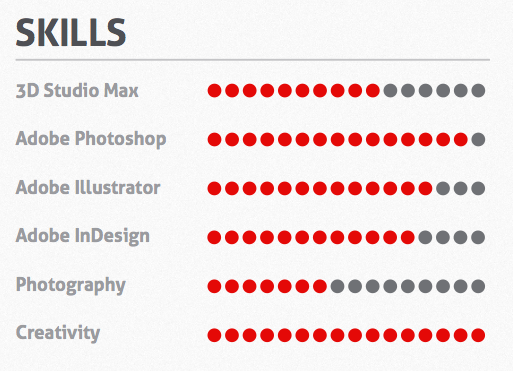 While not suitable for all industries, infographic resumes have been growing in popularity. The challenge when creating one is to make sure it is easy to understand. While unconventional in nature, infographic resumes should still include information that employers have come to expect, such as your education and work experience. For recruiters, the only thing worse than a badly written resume is a resume that takes several seconds to figure out how to even read it. (And in both cases, they will be tossed aside.) 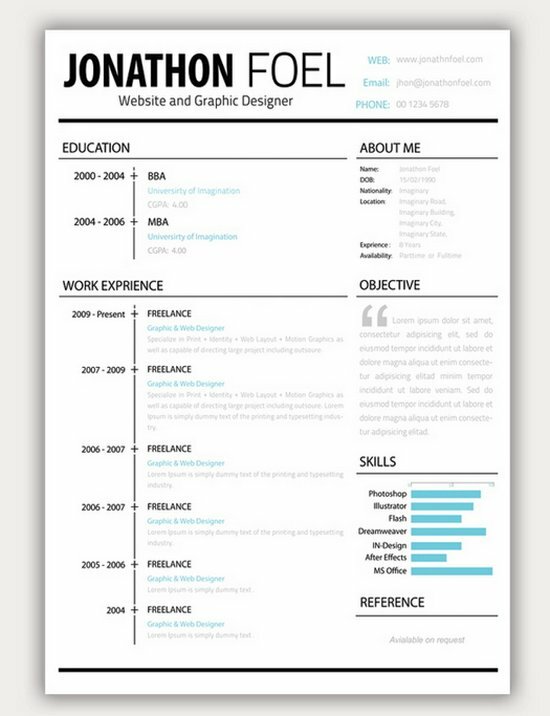 Sites like Visme, Info.gram, and Venngage provide several clean, easy-to-navigate templates for creating infographic resumes. Choose one that highlights your creativity while providing a clear structure so readers know how to get from point A to point B. Meet with your career advisor to learn more about the types of resumes that get noticed in your field, and whether or not a more creative approach is the norm. If it’s not, subtle alterations like color and formatting could make all the difference. 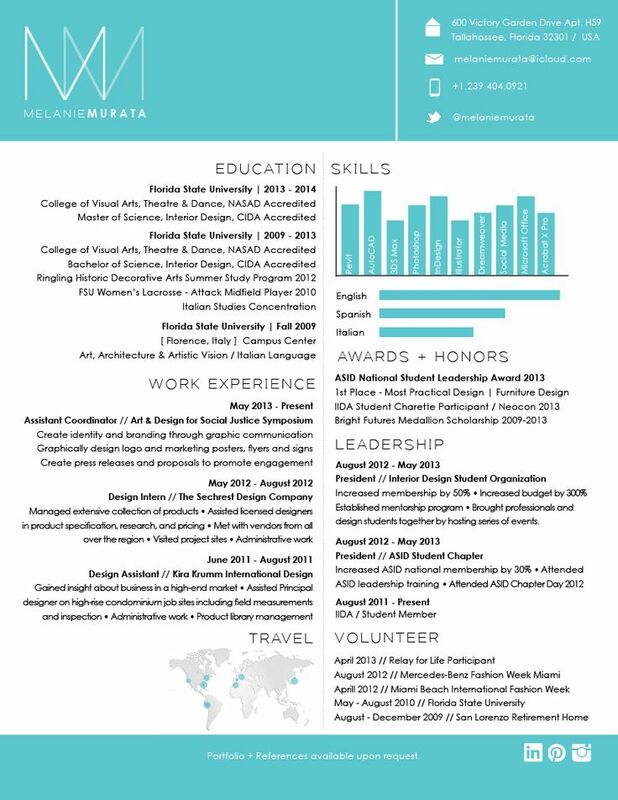 If it is, play around with a few infographic templates; these could help your resume stand out in a striking way.